It is time for you to digitize your store and experience of your customers with our highly reliable, GST-enabled retail management software - er4u. It is India's fastest billing and inventory management software that is created for you only. Ready to grow sales? With our software, you are sure to take your business on a route to success and be more influential in your sphere of business too. You really do not have to be tech-savvy to make use of our retail management solution. Anyone with little or basic computer knowledge can operate with no difficulty at all. No wastage of time any more as each and every task from sales to billing, stock assessment to reports can be managed with lot more efficiency,. Our all-in-one retail management software comes with multiple features and eventually help you slash down your costs by at least 40% and more that often go into purchasing different software for different operations. No need of big staff now as work can easily be managed by one or with less number of employees. Scale up and down as per your business needs. Upgrade to advanced features with growth in your business without having to pay more for the same. It is 100% reliable. You can count on it to streamline your business. The best part is our retail billing software is all affordable. You can buy it as per your customized business needs. 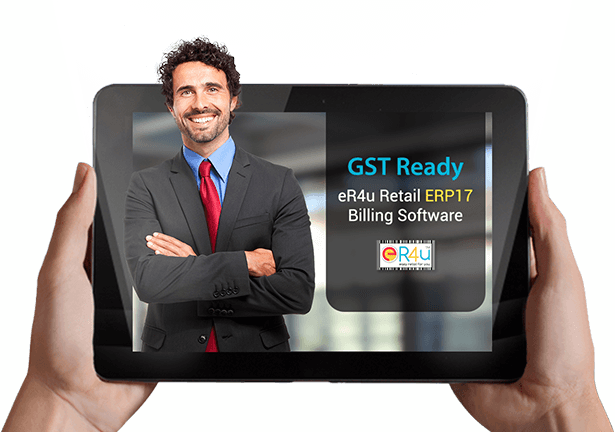 Easy Retail for you (er4u) is for retails in India that want to digitalize their store and improve productivity. It has plenty of features that are exclusive. Schedule demo today. Request call back from one of our support team member.